If someone asked, “Does your company have a well-defined culture?” How would you answer? Can you articulate what the culture is? Can your colleagues? Is it a topic of direction and discussion? Does Senior Leadership drive it? Is the culture consistent across all business units, departments, and functions? Do all levels of management have buy-in? Do employees really get it? What happens when the prescribed culture is not fully supported? Is there accountability? Culture drives performance. It is the foundation of how a company operates. A strong culture drives strong performance, a weak culture drives weak performance, and an ill-defined culture drives inconsistent performance. A strong, customer-focused culture drives customer loyalty and business results. A strong, customer-focused, employee supported, enthusiastic and collaborative culture drives even better business results. However, let’s admit it: Culture is kind of “soft and fuzzy” and leadership sometimes avoids it altogether or considers it “fine.” Yet we know, in most cases, it could be better. Next time you walk into a store, look around you. Are there smiling faces? Are employees eager to help? Are employees looking to exceed your expectations, or are they just going through the motions? Some brands in industries such as banking, retail, and restaurant, have employees who greet you and consistently look to serve you, their valued customer. Others do not, and most are somewhere in between. Recently, I was at a big retail brand buying my daughter a pair of shoes. The only shoe she liked was the display shoe, therefore only one shoe was out. I waited in line and asked the clerk for the other shoe so that we could make our purchase. He looked briefly, couldn’t find it, decided that someone took it, and then walked away. Well, I continued to look for the matching shoe and found it on the floor in the wrong spot! I then took the shoes back to the same clerk to checkout and he looked at me, looked at the other clerk, and walked away saying his shift was over. The other clerk then motioned me to the back of the line! Wow, thanks for all your help! Needless to say, I will not be back anytime soon. A 2015 Duke University study1 found that more than 90% of executives believe that culture is important at their firms, and 92% agree that improving their firm’s corporate culture would improve the value of the company. In addition, 78% said culture is among the top five things that make their company valuable, yet only 15% said their own corporate culture is exactly where it needs to be. It’s clear that Executives get it, but do they drive it? Are they willing to change how they lead and how their company operates to achieve it? Improving culture doesn’t happen quickly and effortlessly. It takes time, dedication, focus, and active monitoring with accountability. When organizations strive to operate with a clearly defined, purposeful culture, accountability must abound for that desired culture to thrive. Accountability must be present at every level, from CEO to leaders to managers to employees. 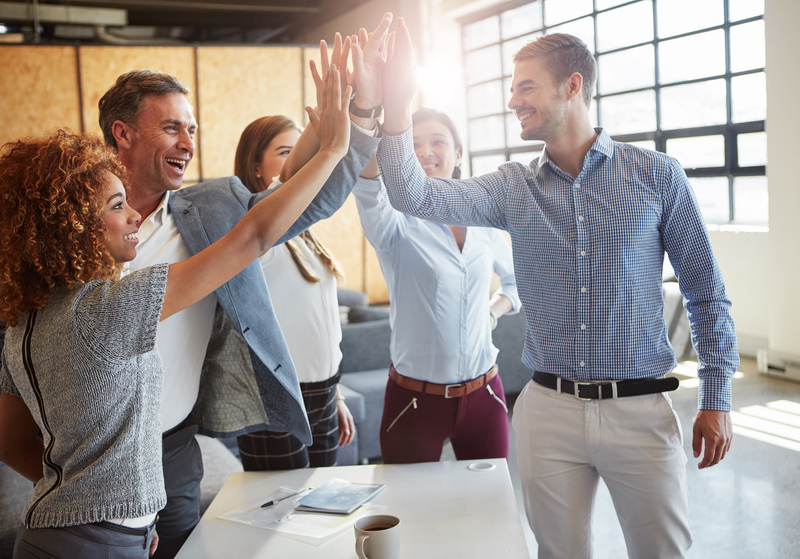 It is proven that employees excel in positive, productive cultures. They are more engaged and their stronger engagement leads to stronger individual performance, better performance for the customer, and overall improved organizational performance and business results. A new CEO decided to morph his company into the company that delivers “the best customer experience” in his industry, seeking to surpass the top five competitors. That mantra became the core of their existence. All 40,000+ employees were charged with focusing on the customer. Customer-facing employees saw the obvious connection in their jobs; however, non-customer-facing employees had to figure it out with the help of managers and leaders as needed. BUT, everyone in the company had to recognize their connection to the customer. It wasn’t a polite request – it was a mandate. Within a matter of months, the culture began to change with real measureable positive change. Employees became more engaged, customers benefited and business results improved. A global medical equipment organization sought to improve business performance by shifting to a customer-first culture. That brought forth organizational structure change, job change, leader change, and attitude change. A key ingredient was the move away from silos to cross-function collaboration, which resulted in a move away from information holding to information sharing. It worked. Employee engagement improved along with increased collaboration and information sharing, enabling customer-centric teams to drive higher customer engagement and loyalty. The good news is, you can measure culture and when you can measure it, you can change it. If you want to improve business results, start from within and then reap the rewards! Stay tuned for our next article on Customer Centricity! As an organizational psychologist and Vice President at Burke, Inc., Jaci Jarrett Masztal energetically helps companies connect the dots between internal company culture and employee engagement to the external customer loyalty and business performance. As Senior Vice President at Burke, Inc., Bill Barnes leverages an extensive background in customer experience to help clients design and implement successful CX programs. With a deep understanding of CX, Bill knows that in order to for a program to be successful, one needs to understand the internal cultural issues that inhibit improvement and measure customer centric culture, which is the foundation of this work. 1 How Corporate Culture Affects the Bottom Line – Duke’s Fuqua School of Business, News Release, November 12, 2015, http://www.fuqua.duke.edu/news_events/news-releases/corporate-culture/#.WK3TEHkzXX4.